From Ukraine to Spain, and back, Maryan Shved has already had a rollercoaster career at the age of 21. Born in Western Ukraine, the Shved family have represented the historic Galician side hailing from Lviv. Following in his father’s footsteps, Maryan donned the green and white shirt of Karpaty Lviv, joining at the age of seven. Born in 1997, Maryan Shved carries the name that once represented Karpaty Lviv between 2000 and 2003. Vasyl Shved, Maryan’s father, played for the team reigning from Galicia for three years, while also featuring for Karpaty-2 and Karpaty-3 during his career in Lviv. Playing in Western Ukraine throughout his career, Vasyl continued a love affair that would develop further under his son. With the football genes running through the family, it didn’t take long for Maryan to take over from his father. 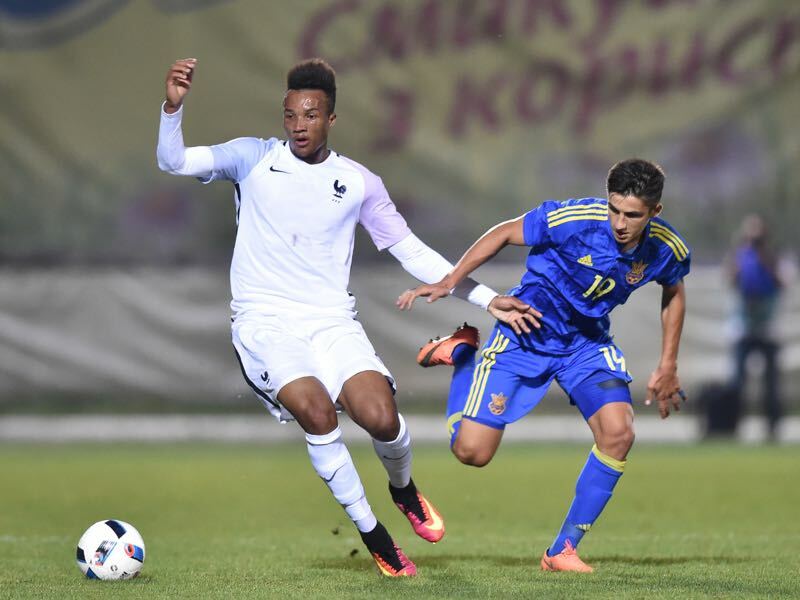 Joining Karpaty at the age of seven, Maryan went through the youth system at the club, making his first-team debut against FC Metalurh Donetsk in 2015 at the age of seventeen. Playing the full ninety minutes, Maryan got the taste of football at its highest level, just like his father in the early 2000s. Featuring for the Lions on ten occasions during the 2014/15 season, Shved scored on two occasions, both coming against Olimpik Donetsk. Adding to his tally, the Ukrainian winger helped his side to a two-goal victory against Chornomorets Odesa, setting up Volodymyr Kostevych. Ten appearances, two goals, one assist and over seven hundred minutes of football, Maryan Shved was bound on a journey that would take the Ukrainian to Spain. After a positive first-team debut season, Maryan Shved caught the attention of teams across Europe, especially those in Spain. Seeing Shved’s talent on display and the talent he possessed, both Valencia and Sevilla vied for the signature of the winger. Inspired by Yevhen Konoplyanka’s move to the Andalusian club in the summer of 2015, Shved signed a five-year contract with Sevilla. Revealing that he received an offer from Valencia, one which his representatives advised to wait in the hope of an offer from Sevilla, Maryan decided it would be best to join his compatriot in Seville. Understanding the importance of integration, especially when coming from Ukraine, Shved realises the “concern about changing country” and his aspirations in being able to “adapt quickly to life in Spain”. Considering some of the issues faced by Konoplyanka and Yarmolenko at their respective clubs since leaving Ukraine, Shved was correct in realising the importance of acclimatising to his new home. Describing Sevilla as a “great club”, Maryan was on course for a new journey into the unknown. Signing a five-year contract, Shved was sent to the reserve team, Sevilla Atlético. Under the guidance of Diego Martinez, there was hope that the Ukrainian would fulfil the potential many saw in Maryan Shved, and ultimately becoming Ukraine’s star. The faith and expectation behind Shved weren’t misplaced, his former coach at Karpaty Lviv, Igor Jovicevic, describes the winger as having “a lot of potential.” Going into detail, the Croatian recognised Shved’s ability at an early stage, “he was already the best player of the day and the big clubs here were already interested”. Furthermore, Jovicevic, who took the leap to Real Madrid during his playing career at the age of 17, recognises the difficulties of adjusting to life in the country, “the mentality and lifestyle are very different in Spain”. Of utmost importance for Shved had the ability to become accustomed to his new surroundings, which is arguably as important as what takes place on the football pitch. Those who went before him and have gone through the cruel cycle of football, understand the feeling of not fulfilling their potential. The weight of pressure and expectation put on players at such a young age is overwhelming. Jovicevic, who went through the cycle himself, argues that “it’s important that they do not put a lot of pressure on him”, as it could ultimately impair Shved’s career at Sevilla. Maryan’s first season in Spain wasn’t straightforward or easy. Struggling to adapt to life since leaving Ukraine, the winger showed glimpses what he was capable of, despite the difficulties he was facing. Two months into his career at the Andalusian club, Shved received his debut for Sevilla Atlético against Marbella FC, coming off the bench for JoséAmo. It would be his only domestic appearance for Sevilla that season. 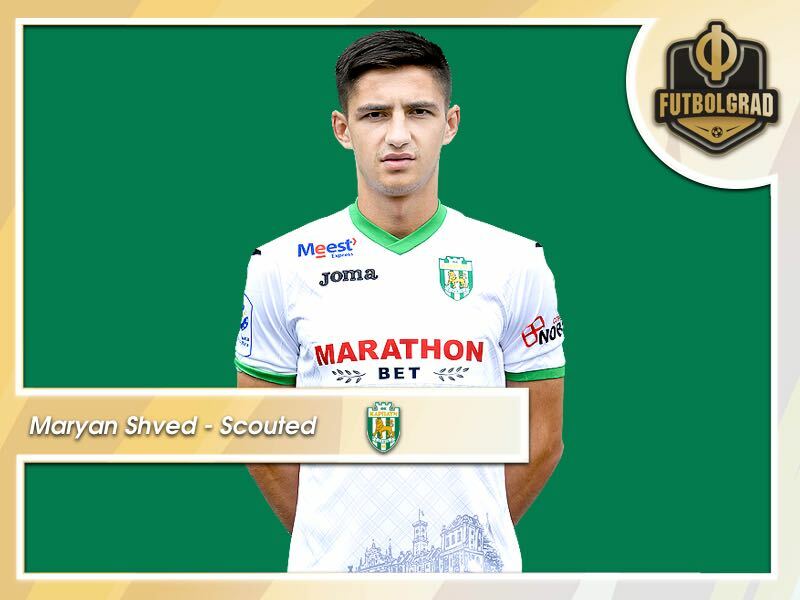 Featuring in the UEFA Youth League in his first season, Shved started a total of six games for Sevilla, scoring one goal against Juventus and two assists coming against Borussia Mönchengladbach. The challenges facing Shved were at a detriment to his footballing career at Sevilla. Struggling to adapt to Spanish football and language, it was taking its toll on his performances and ability to shine at his new club. As a result, the winger had limited opportunities at Sevilla Atlético. Describing his struggles, Shved says that “at the beginning, it was very hard, even at the time of playing football, it seemed like I did not know how to do anything”. Highlighting the language barrier, the Ukrainian was often left confused in situations such as when to arrive for training, often being told multiple times on when to attend. A season full of challenges and difficulties, Shved would ultimately see his career in Seville come to an before it got started. Suffering a cruciate ligament rupture, the talented winger’s season was over, and so was his time at Sevilla. Too big, too soon? Time will tell with regards to Shved’s career at Sevilla. However, it was becoming clear that the Ukrainian needed to return to a familiar and comfortable environment in which the winger could regain his confidence, especially after suffering such an injury at the end of his career in Spain. It didn’t go as planned at Sevilla but it wasn’t all doom and gloom for the Ukrainian. Returning home, the winger found himself in familiar territory, wearing the green and white shirt of Karpaty Lviv once again. The 2017-18 season saw Shved reinvigorate his career, regain first team football, and most importantly, fully recovering from the injury that brought his career in Sevilla to an end. Fresh start, new Maryan Shved. A familiar environment in which the player could flourish, it was only a matter of time until Lviv’s pride would roar again. Statistics. Everyone loves statistics. In the modern game, we’d almost be lost without them. In analysing Shved’s most successful stint of his footballing career, it becomes clear that the talent he possesses is one of ever-expanding optimism and magic that tempted Sevilla in 2015. With Ukraine looking for their next star, Shved is perhaps a diamond in the rough. Since returning to Ukraine, the winger has scored a total of 14 goals and gained a total of five assists in the Ukrainian Premier League. Playing a total of 25 games for Karpaty Lviv, amounting to 1,637 minutes, Shved hit the ground running. His current form is one which has attracted the attention of Central and Western Europe once again. Statistics provided WyScout clearly show Shved’s progression and development since his return to Ukraine. During the 17/18 season, the Ukrainian, in all competitions, averaged during a period of 90 minutes a total of 0.43 goals, 0.19 assists, 3.08 shots on target, 0.41 xG, 8.01 (61.5%) successful dribbles, and 16.52 (67.9%) accurate passes. In comparison, Shved’s 18/19 season saw improvement, especially with regards to his goal scoring ability. After 18 games played in the Ukrainian Premier League, he averaged during a period of 90 minutes a total of 0.53 goals, 0.11 assists, 2.47 shots on target, 0.31 xG, 7.31 (55.4%) successful dribbles, and 17.98 (78.6%) accurate passes. Surpassing his 17/18 season in terms of appearances, goals, and assists, Maryan also developed his international career. Making his debut for the senior side against Turkey on 20 November 2018, replacing Viktor Tsyhankov, it was a new chapter in an already storied and challenging career. With transfer rumours swelling, Maryan Shved has increasingly been linked with a move to Celtic, with some reporting that the Ukrainian is set to sign with the club. Looking to be his most likely destination, the winger could develop and flourish at a club that has provided the perfect home for many. From Virgil van Dijk to Henrik Larsson, Celtic has been the home to some of the world’s better players, be that past or present. The Scottish club is a step in the right direction for Shved. However, the winger will be hoping it won’t be a repeat of the difficulties he faced during his career at Sevilla. From the green and white of Karpaty Lviv, to the green and white of Celtic, Maryan Shved is on course to take his career to the next level.